How much can a search engine change in a year? If it’s Google, the answer is a lot. Best SEO practices suddenly can turn into web page death sentences if you’re not careful. But even if you don’t have time to keep your finger on the pulse of the ever-changing search industry, you’re in luck. An infographic and report from Searchmetrics has done a lot of the work for you. It analyzes and distills the information you need to know. The study analyzed 10,000 searches across 300,000 URLs on the top three pages of Google UK, with the sites being from various industries. The analysts looked at factors the sites had in common and then correlated the data and their findings into the study/infographic. Note: Google USA and Google UK do vary somewhat in terms of ranking factors. Let’s face it. When you have a memorable, mesmerizing campaign that people can’t stop talking about, you don’t have to do a lot to encourage them to spread the word. Simply because Coca-Cola is a huge brand and a household name, it can get by with making a sub-par, non-optimized site. Either way, people are talking, and Google is paying attention. So, does this mean that if you’re a small player, you really don’t have a chance against the big boys with bottomless pockets? 2. Social Signals Matter – But Which Ones Matter Most? It’s no secret that Google is watching social signals carefully. Facebook likes, shares, Twitter tweets, and even Pinterest pins are showing up on its radar. But, another finding from the not-so-surprising department shows that Google +1’s are given the most ranking recognition, followed closely by Facebook. 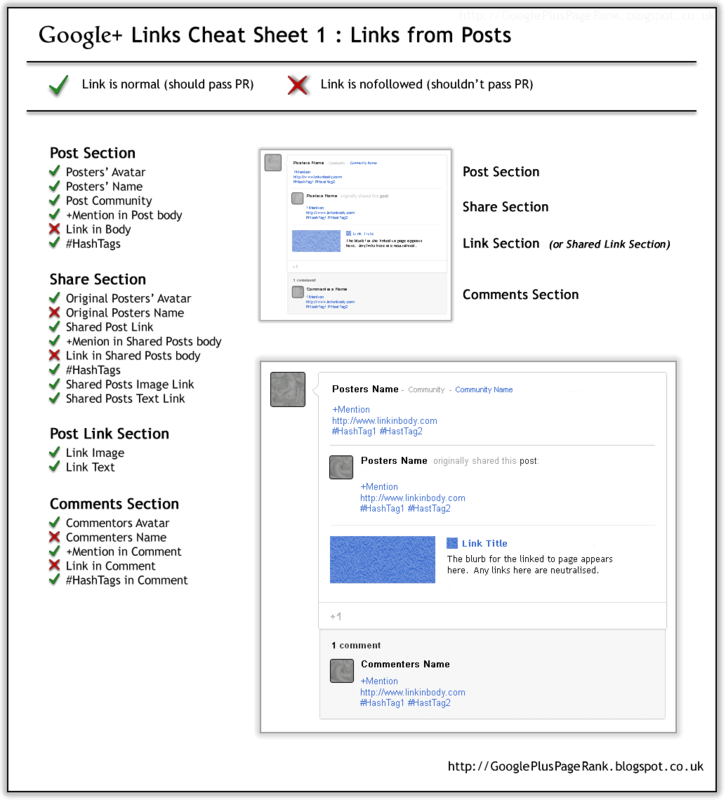 If you don’t yet have a Google+ account (or don’t use it often), it may be time to take the plunge: links shared on Google+ pass PageRank. Well-written content is still important in Google’s eyes, as are a decent number of images and strong internal links. Page load speed also is a factor, as is the word count, when it comes to backlinks. If you’re consistently publishing good content, steadily acquiring backlinks, and adding rich media including images and video, you’re taking all the right steps to maintain a solid ranking. So far, the shift seems to be toward less emphasis on “keyword tricks” (such as registering domain names with the chosen keyword in them or peppering the keyword in H1 tags) and more emphasis on quality (with the backlinks and social shares to back it up). About the Author: Sherice Jacob specializes in conversion rate optimization through user-friendly web design, compelling copywriting, and smart analytics. See what your site is truly capable of by visiting iElectrify.com.